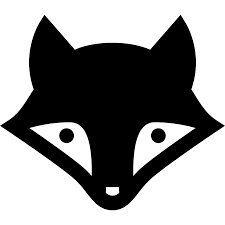 I'm new to vector art in general and for practice i'm trying to create a black/white fox head. 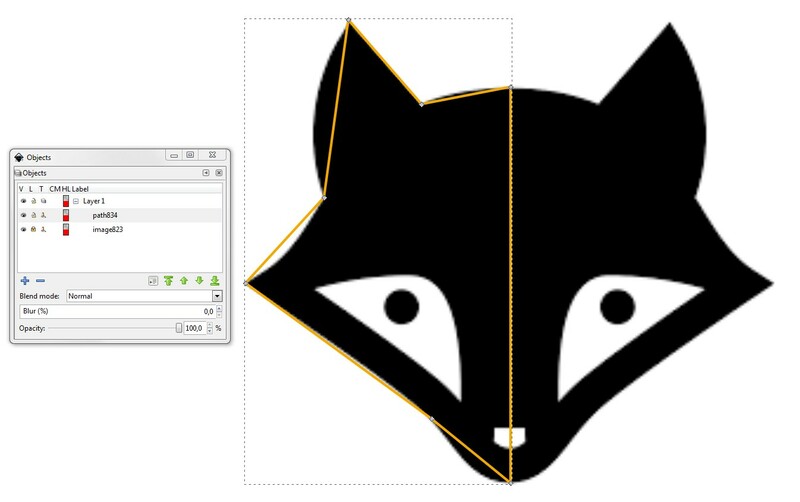 What is the procedure/steps to draw a picture alike the image below in Inkscape? I tried doing it in many ways, like with triangles and circles and the bezier pen but couldn't manage to make it. I could use some tips to learn making different and complex shapes better in Inkscape too. NOTE: There's no need to draw more than a half, because you can duplicate the result in some phase and flip it. 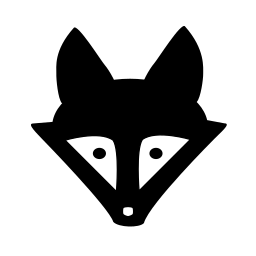 Here the shape is duplicated, the copy is flipped, moved to its place and an union has been made. Have enough point snapping options on to make the copy to snap easily. Hopefully this is enough for a start. Not the answer you're looking for? Browse other questions tagged vector inkscape art or ask your own question. How do I draw inside an object in Inkscape?